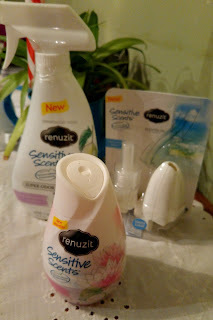 Renuzit is at it again with the new Sensitive Scents! Experience a long-lasting freshness designed to perform without overpowering your senses. Renuzit Sensitive Scents has been formulated to keep the sensitive noses in your home happy. Sensitive Scents performs without overpowering. Each new fragrance is lighter than the previous versions. Breathe deep and enjoy all three Sensitive Scents! Chose from Pure Water Blossom & Cucumber, Pure Ocean Breeze, or Pure White Pear & Lavender! Pure Water Blossom & Cucumber - Enjoy delicate floral essences with the crisp freshness of cucumber! Pure Ocean Breeze - No matter how far you live from the ocean, you can still relish in its light and airy scents! Pure White Pear & Lavender - Savor the succulent combination of sweet pears and heavenly lavender! 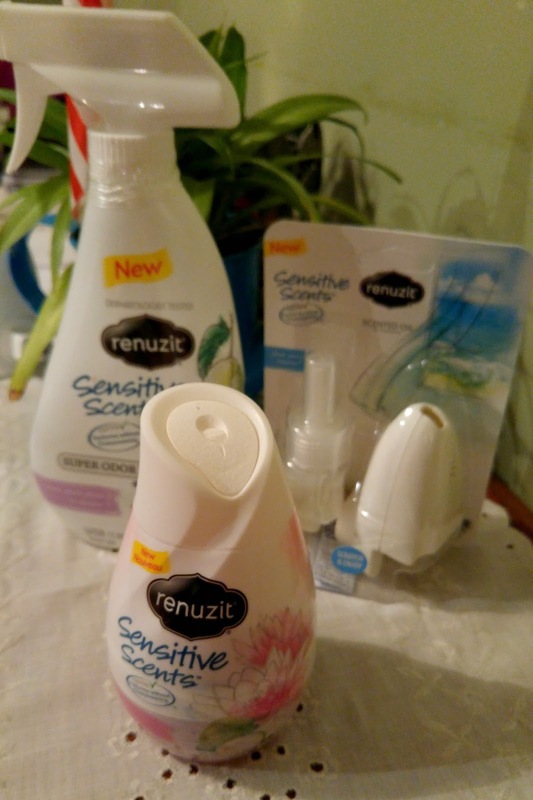 Renuzit Sensitive Scents can be enjoyed in multiple ways! Pick up some adjustable cones, which are perfect for small spaces. The cones last for up to four weeks! These are perfect in my kids' rooms to help keep odors away! Another great way is the universal scented oils. The Renuzit Plug-in Refills fit in any Glade or Airwick warming unit! How cool is that! Lastly enjoy it in a trigger spray format. I am in love with Pure White Pear & Lavender spray! It neutralizes tough odors, musky fabrics and other unpleasant smells. I have sprayed around the kids' sport equipment to help neutralize that stench! It is also great to spray after wet dogs come into the house! No more wet pooch smell! Renuzit Sensitive Scents are a truly unique sensory experience. Each scent has been specially formulated and lab-tested to ensure effective, long lasting, and pleasing scents without overpowering sensitive noses! They are available in stores now! Visit the Renuzit Website for more information.